Navigating the process of loan repayment isn’t easy, but your loan servicers are there to help you. For the most part, loan repayment doesn’t begin until six or nine months after you’ve left college, so you can use this grace period to get on your feet financially without immediately having to pay down your loans. If you’re having trouble paying, you may be able to switch repayment plans to one that is more long term, request a deferment, or request forbearance. Work with your loan servicer to avoid the consequences of missed payments. You don’t have to start repaying your loans until after a six-month grace period (Perkins Loan holders get nine months) that begins when you graduate, leave school, or decrease your enrollment below half-time. Once this time has elapsed, you must start making regular payments on your student loans and the accrued interest. Generally, loan repayment takes 10 years, though you can negotiate with your loan servicer to choose a different repayment plan. Being indebted to the federal government and paying off your student loans for 10 or more years is daunting, but some individuals are eligible for financial aid to be applied toward loan repayment. If you’re a medical professional, a public servant, or a teacher, you may be eligible to participate in a loan repayment program or have part of the balance of your loan forgiven or canceled. Generally, you must agree to work in a certain community (high-needs or low-income) to receive these awards. Paying back your loans can be hard, especially if you have a hard time holding down a job, have a low-paying job, or have lots of other expenses. Fortunately, you can work with your loan servicer to change your repayment plan if your current payments are too high. If you meet certain eligibility criteria, you can also consider requesting a deferment (to delay repayment) or forbearance, which provides a temporary delay or reduction in payments. If you miss a loan payment, your loan will immediately become delinquent. 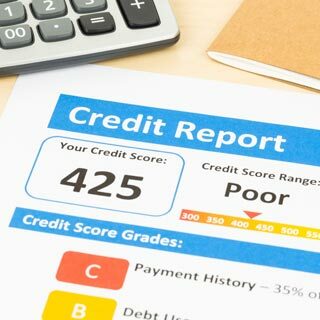 After three months of missed payments, you will be reported to credit agencies and immediately feel the fallback of a low credit score. If you continue to miss payments for nine months, your loan goes into default. Getting out of default is incredibly difficult; one way is to immediately repay your entire loan. If you are having trouble paying, contact your loan servicer to avoid legal repercussions.